Caterpillar has already made its mark in producing world-class equipment that's being used in almost every industry. 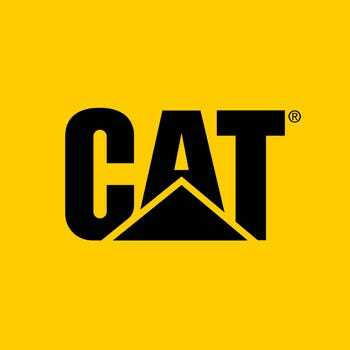 In addition to its roster of exceptional work shoes, CAT footwear continues to design exceptional work footwear, and it can be seen with Caterpillar ... (see full details) (see specifications) #P91004. Caterpillar has already made its mark in producing world-class equipment that's being used in almost every industry. In addition to its roster of exceptional work shoes, CAT footwear continues to design exceptional work footwear, and it can be seen with Caterpillar Men's P91004 Barley Woodward Leather ST Work Shoes. Meticulously made with full-grain leather, the Caterpillar Woodward steel toe work shoes offer durability and long-term protection together with their nylon mesh lining for superior comfort and breathability. Its nylon shank not only helps in adding durability but also protects your feet against occupational hazards while the brown work shoes’ EASE engineered foam footbed alleviates pressure from your feet giving you utmost comfort while at work. These men’s steel toe leather work shoes feature the state of the art ERGO technology which provides biomechanical features that are specifically made to ensure flexibility, comfort, and stability no matter what terrain you’re on. In addition to this, Caterpillar made sure that this brown leather Caterpillar shoes comply with the ASTM F2413-11 I/75 C/75 steel safety toe standard for your ultimate protection against compression and impact. The Caterpillar Men's P91004 Barley Woodward Leather ST Work Shoes offer all that you need in men's work shoes that can also be worn for casual occasions and to the workplace, no matter what the season is. Their slip-resistant T1420 outsole works well against water and oil, and it can resist abrasion and heat. What more can you ask for? Grab yours now only from Working Person's Store! Caterpillar Shoes: Men's P91004 Barley Woodward Leather ST Work Shoe is being added to your cart.